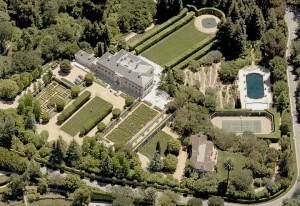 America’s most expensive home has just hit the market for a whopping $350M. Formerly the set for “The Beverly Hillbillies” and the estate of late billionaire Jerry Perenicho. The Bel- Air home is everything baller: Opulent, Luxurious, and Plush. The baller pad sits on 10.3 acres, double the original estate size. Perenicho, who lived in the home for more than 30 years before passing in March of this year, purchased additional acreage surrounding the house. Enlisting famed designer Henri Samuel to redesign the 25,000 square foot home, Perenicho created a masterpiece that he affectionately called Chartwell. The limestone dream home features amenities that scream baller. The home comes with a “world class” wine cellar , ballroom, formal salon. The palatial estate boasts a long private driveway, 75-foot pool and gracious pool house. It even includes a guest house designed by architect Wallace Neff, covered parking for 40 cars and lush manicured gardens. This castle is the epitome of baller. With the home’s current list price, Chartwell kills the last Bel-Air home’s asking price by $100M. 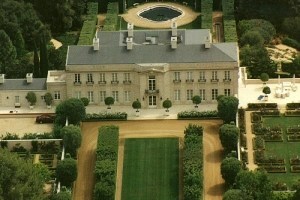 If you had $350M, would you splurge on the home?